Dhoom 3 Dialogues - Get all super hit dialogues of Aamir Khan from Dhoom 3 movie. This is an action thriller film written and directed by Vijay Krishna Acharya and produced by Aditya Chopra. The film was released in 2013 and this is the third installment of the Dhoom series. Aamir Khan, Abhishek Bachchan and Uday Chopra played the main lead role. 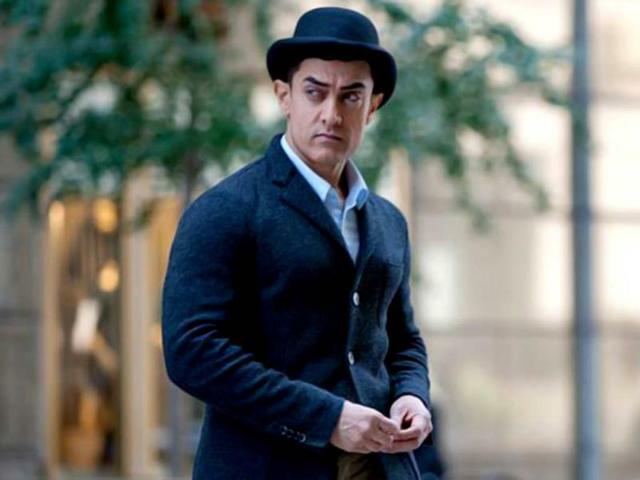 Aamir Khan plays the antagonist. It was one of the most expensive Indian films. The film went on to gross ₹4 billion (US$60 million) worldwide in just ten days, to become the highest-grossing Bollywood film. The film has some amazing action sequences with stunning dialogues which are delivered by Aamir Khan, Abhishek Bachchan. Here you can find all the best dialogues of Dhoom 3 movie. Irade hai fauladi,himmati har kadam, Apne haathon kismat likhne......aa chale hum"
"Jo duniya ko namukin lage, Vahi mauka hota hai....kartav dikhane kaa"
"Maskhara,Majakiya,Vidusak,Jokar Clown...Ye sab hamare nam hain...lekin clown bana Serious kam hai, Kyuoki maskhare ka khel dhokhe ka hota hai...Jisme audience ko lagta h....Ki jeet unki ho rhi hai....Magar jetate ham hain...Hameshaa"
"Chor or police ki sirf dusmani ho sakti hai"
"Sarkas vala sirf ankhon ko nahi.....Maut ko dhoka dete hain...Roj"
"Main Ghar aa gya baba"
"Hoshyaari, tarkieb aur dhokha..... Teeno mil jaaye toh log usse jadoo samajhte hai"
"Aaye toh the sharafat se ... lekin jayenge toh dhoom machake"
"Chor ki kismat hamesha police ke haathon mein hoti hai"
"Asli jeet badle ki nahi ... sapne ki hoti hai"
"Kaam ka soocho ... Kamasutra ka nahi"
"Dimaag apan ka hai jaise kismis ... chota par meetha ... zyada chalayega toh ghis jayega"